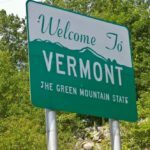 We’ve compiled a list of local Vermont mortgage lenders. If you’re looking into purchasing a home, this is an important resource. Please contact us if you have any questions about the process of obtaining a mortgage loan for your upcoming investment. We’re here to help you accelerate your life today!